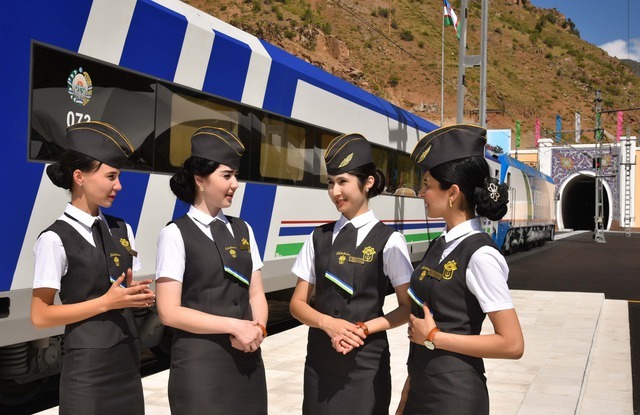 Fast train "O'zbekiston Tashkent - Andijan"
Electric train "Afrosiab" was developed in Spain according to the most advanced technologies. It consists of 2 head locomotives, 9 passenger cars and dining car. There are VIP seats of first and economy classes. All seats are equipped with comfortable reclining chairs, table and footrest, built-in audio and video modules, monitors for watching video and reading lights. There are luggage racks and hangers for clothing above the seats. All zones are the non-smoking areas, lounges are equipped with good noise insulation. In coaches there are also conditions for disabled persons: in the 3rd car there are special fasteners for wheelchairs. In the car, "Bistro" you can order soft drinks, coffee or tea, menu with oriental and European dishes is also offered. 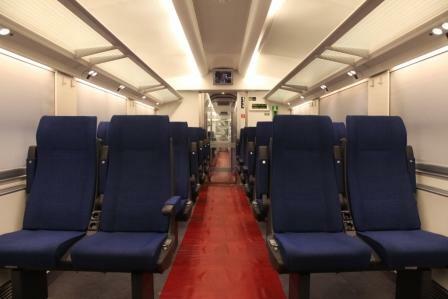 The total capacity of the train is 257 persons. 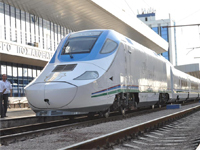 The maximum train speed - 250 km / h, the train will cover the distance from Tashkent to Samarkand in 344 km for 2 hours. Engine drivers and the staff of the high-speed train have been trained mainly at the factory of "Talgo" and "RENFE" (Spain) companies. Shark - from Uzbek is translated as "East" and it can be laconically said that it's a real "Orient Express". It connects three ancient cities of the East: Tashkent, Samarkand and Bukhara. Unlike common trains running on this segment of the path, it covers the same distance, but less than five hours. 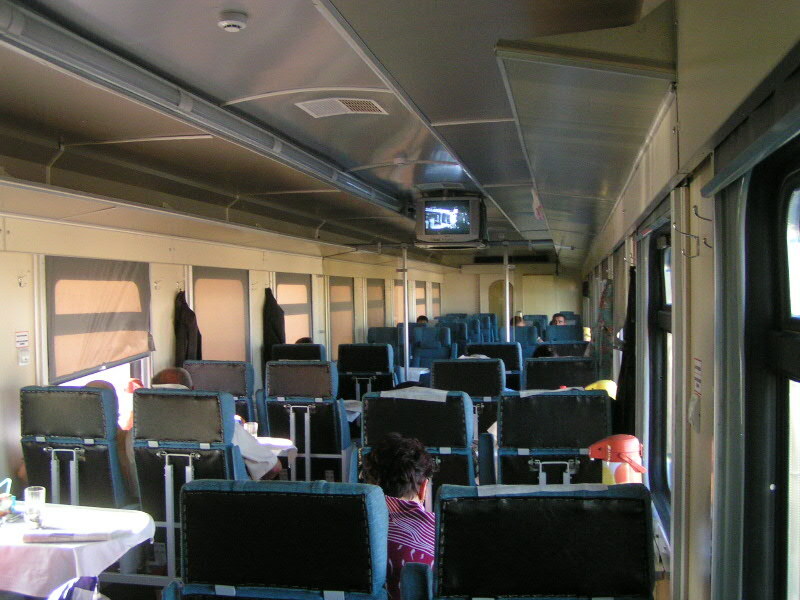 The train consists of comfortable wagons: wagon-lit, 1class and 2 class, as well as the buffet car. During the route the passengers are served a wide range of soft and alcoholic drinks and a light breakfast (included in ticket price). First of all the conveniences attract the attention of the inhabitants of the republic, as well as tourists. The features are: great staff and of course the cars, fully meeting the requirements of sanitary norms on lighting, ergonomics, microclimate, noise and vibration, and traffic safety at speed up to 160 kilometers per hour. - Stopovers: Gulistan, Djizak, Samarkand, Navoi. 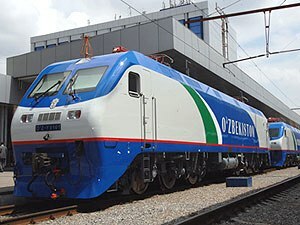 Fast train "O'ZBEKISTON Tashkent Andijan"
The train «O'ZBEKISTON» began its movement along the route Tashkent – Andijan at the end of 2016. 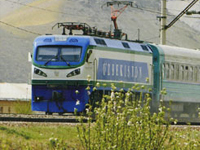 Train «O'ZBEKISTON» serves 478 passengers. The train runs 6 times a week, that is very convenient for local passengers and guests of the republic. 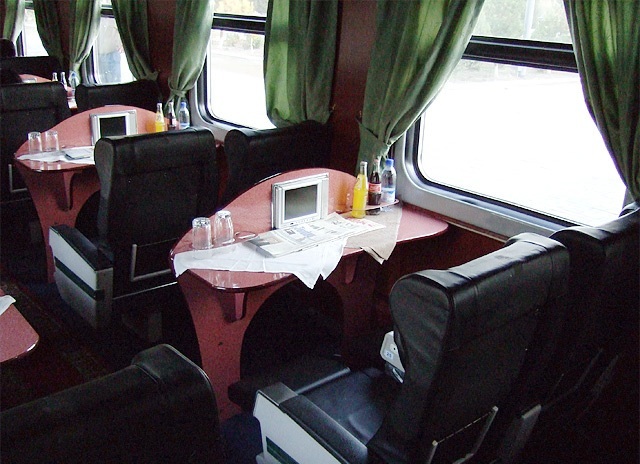 Fast train Superior «O'ZBEKISTON» consists of 11 cars: VIP car, 1Busines and Economy classes, which are equipped with soft seats. 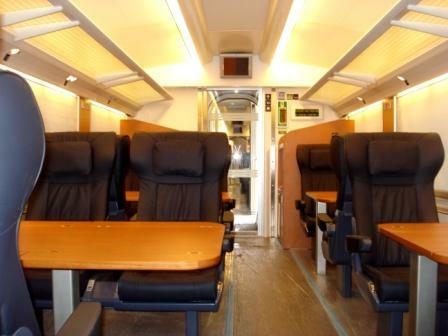 During the transfer the passengers are provided with soft drinks, tea, light lunch and other services. In all coaches passengers can watch movies on TV, listen to music and FM-radio. - Stopovers: PAP, Kokand, Margilan. 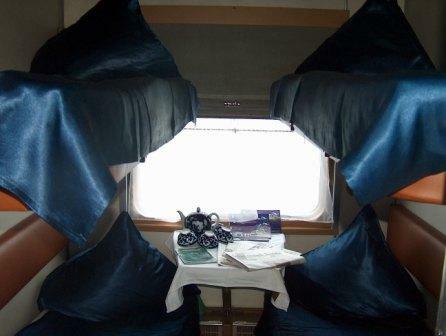 Night Train Tashkent - Bukhara - Tashkent, number 661/662 runs between Tashkent and Bukhara daily. The train departs from both Tashkent and Bukhara at 20:10 and arrives at 6:00 am the next day. 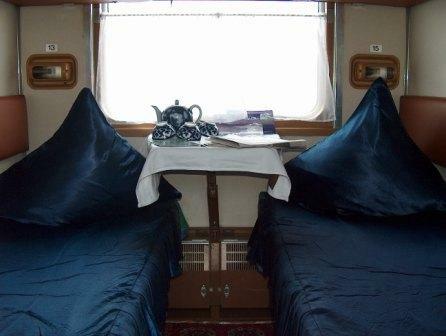 The wagons are comfortable, allowing passengers to fully get enough sleep during the night crossing. 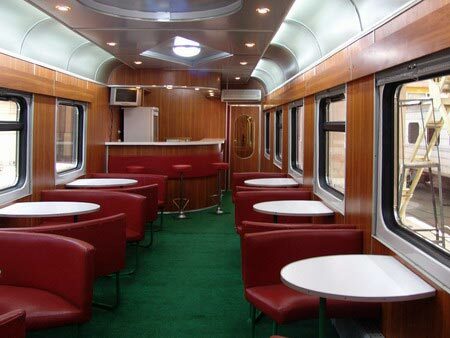 The train consists of cars: VIP, which has a TV, 1-class and economy class, and one dining car, where everyone can enjoy national and European cuisine. 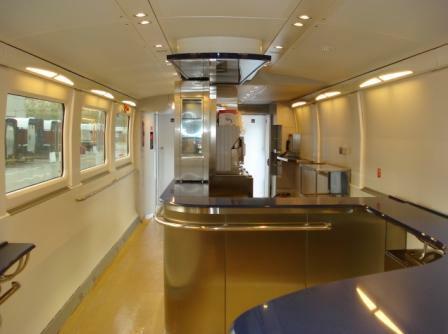 The train corresponds to the international quality standards and meets all safety requirements. In a way the breakfast, hot tea, soft drinks will be offered passengers. High speed train " Tulpar Talgo Almaty-Tashkent"
Lanching the direct high-speed train Almaty- Tashkent-Almaty on March 22, 2017 was really a great step of historical significance. .
Now one can take the afternoon beautiful and modern train "Tulpar-Talgo" in Tashkent that arrives in Almaty in the early morning. The trains "Tulpar-Talgo" have been produced in Astana in the joint venture of "Kazakhstan Temir Joli" and the Patentes Talgo , Spain . The train Almaty-Tashkent goes twice a week: on Mondays and Saturdays ; and the train Tashkent-Almaty goes on Tuesdays and Sundays and takes approximately 16 hours 30 minites. - 1 dining car .